The crew are MacGyvers, too! 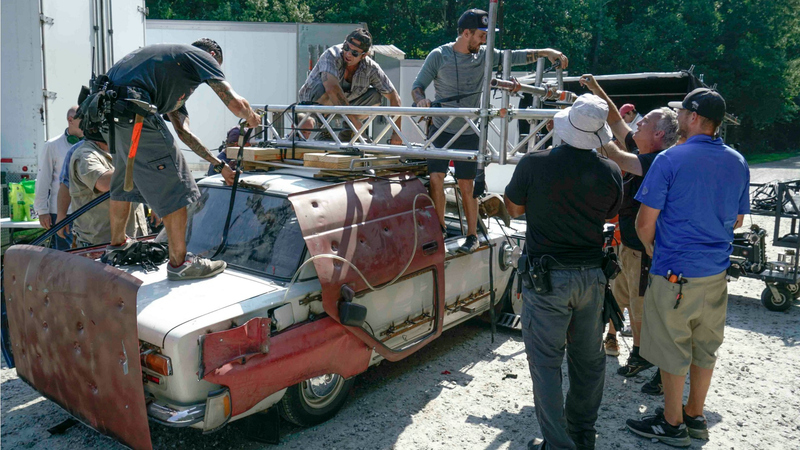 Crew members set up a car chase scene by mounting rigs and cameras to a stripped car. Turns out Mac isn't the only handy one on set!